Briana O’Neill stood at the Hyde Park intersection where her car was hit by a vehicle driven by Officer Richard Jeanetti. The first time Brian Simpkins was arrested on a charge of drunken driving — after ramming his Chevy pickup into a tree in Canton — he was just 19. The second time he was arrested — after he was found passed out in his car with the engine running in September 2012, a half-empty can of Coors Light lying on the floor — he was a state trooper, charged with keeping the roads safe from drunk drivers. Simpkins, 41, admitted that he started drinking beer after a softball tournament, went to a bar and drank some more, then went to another tavern and kept drinking before heading to the Wendy’s in Stoughton, where he was found asleep at the wheel, according to the arrest report. He was so groggy that when a state trooper asked him for his driver’s license, he handed over his Visa card instead. But the Massachusetts State Police kept Simpkins, who earns roughly $130,000 a year, on paid administrative duty even after he lost his license for a year for refusing a breath test and couldn’t go out on patrol. And with no alcohol test results, a judge acquitted him of the criminal charges after tossing much of the other evidence on legal technicalities. Now, he’s back on patrol out of the Boston barracks. Simpkins is one of at least 30 Massachusetts law enforcement officials who have been charged with drunken driving while off-duty since the start of 2012, a Globe review has found. The crashes collectively killed three people and injured more than a half-dozen others. Though some officers resigned or were placed on unpaid leave after the charges, a majority kept their jobs, sometimes after a short suspension. The drunken driving tally is almost certainly low because not every arrest is widely reported and officers sometimes let their peers off the hook, a practice known as “professional courtesy.” Massachusetts police departments have launched internal reviews at least four times in the last three years after learning that an officer or former officer was accused of drunken driving but was not arrested. The Globe also found the vast majority of officers, like Simpkins, refused to take a breath test, making it harder to prosecute them criminally for drunken driving. And departments frequently went out of their way to accommodate them — keeping officers on the payroll even after they temporarily lost their licenses for refusing the test and could no longer do their regular duties. In addition, many departments tried to keep details of the drunken driving incidents involving their officers hidden when contacted by the Globe. Several departments, including Boston’s, refused to reveal the names of officers arrested for drunken driving. Others withheld police reports, photos of officers who were arrested, or other documents that are normally public after arrests. The Globe’s findings saddened Ron Bersani of Marshfield, whose 13-year-old granddaughter was killed by a drunk driver in 2003, inspiring “Melanie’s Law” to combat drunken driving. Police and advocacy groups alike agree that drunken driving is a national scourge, killing about 10,000 people a year nationwide. And officers — just like anyone else — sometimes drink too much or misjudge their ability to drive, chiefs say. “Officers working the streets are human,” said Oak Bluffs police Chief Erik Blake, who was also president of the Massachusetts Chiefs of Police Association until last week. But many expect more from police officers because they carry guns and are charged with enforcing the laws, including those barring drunk drivers from the roads. In addition, few know better than police the horrific toll of drunken driving accidents, as they are usually among the first to respond to crashes and see the injuries and deaths firsthand. “If there is any group of people who would understand the impact of a drunken driving crash, it would be police officers,” said David DeIuliis, program director for Mothers Against Drunk Driving in Massachusetts. There’s conflicting research on whether officers drink more than the rest of the population, but everyone acknowledges that some officers drink too much. Many of the largest police departments, including Boston’s and the Massachusetts State Police, have “stress units” to help officers struggling with alcoholism and other personal problems. There’s no complete database of drunken driving cases involving police officers, but a search of news articles by Bowling Green State University researchers found 782 cases where officers were arrested from 2005 to 2010 for drunken driving nationwide. Still, that tally is probably only a fraction of the actual total because researchers did not spot every article and not every arrest is announced or picked up by the media. Several departments contacted by the Globe said they do not have a specific policy on how to deal with officers accused of operating under the influence and instead make case-by-case judgment calls based on the circumstances and the officer’s past performance. Some officers, including the chief of police in Sudbury, resigned after being arrested on charges of driving drunk. Others returned to duty after serving suspensions of between five and 60 days. In some cases, police wouldn’t say what, if any, action they took. But it appears agencies generally took stronger action in the most serious cases, involving deaths or repeat arrests. Even then, however, departments sometimes wait for the criminal cases to be resolved, a process that can sometimes take more than a year. For instance, state police have yet to decide on disciplinary action for a trooper involved in a fatal accident on the South Shore last fall. In that incident, John Basler was coming home coming from a party when he collided in Plymouth with the car of a mother and daughter returning from a Red Sox game. Both Susan Macchi, 64, and her daughter Juliet Macchi, 23, were killed in the crash. Plymouth police initially did not disclose that a state trooper was involved and said they did not think alcohol was a factor. But hospital records later showed Basler, who had been at a party earlier that evening, had a blood alcohol level of 0.19, more than double the legal limit of 0.08. He now faces a litany of charges, including two counts of motor vehicle homicide while operating under the influence. In other cases, officers have been fired or forced to resign after a second drunken driving arrest. Lowell police put Officer Eric Wayne on paid leave after he was arrested for drunken driving in July 2013 and refused to take a breath test, prompting his license to be automatically suspended for 180 days. Police eventually reinstated Wayne last June after he regained his license and the criminal case dragged on with no resolution. But two months later, Wayne allegedly drove drunk again —veering over the center line in Methuen, slamming into a Mercury Mountaineer, and killing the other driver, Briant Paula, 26, of Lawrence. Paula’s sister also was injured in the crash. Methuen police said Wayne lied about his last name, refused to give his address or driver’s license, and balked at taking sobriety tests or a breath test. Wayne resigned in September, just before he was indicted for manslaughter and motor vehicle homicide while under the influence of alcohol. The state also revoked his license. Had he not resigned, Lowell police said they probably would have put Wayne on unpaid leave, rather than firing him, pending the outcome of the charges. “Without convictions in criminal cases, it’s difficult to remove an officer from the rolls,” Lowell Captain Timothy Crowley said. Yet most drunken driving charges don’t result in a conviction. Prosecutors usually agree to dismiss charges for first offenders who agree to participate in alcohol education classes and other terms of probation. And some cases can be hard to prove, particularly when defendants refuse to take a breath test. Massachusetts is one of the few states where a refusal can’t be held against defendants in court. Of 22 officers who were asked to take a blood alcohol test, 18 refused. Some of the officers who refused the test, such as Simpkins, were subsequently acquitted or had their charges reduced. To discourage people from refusing the breath test, Massachusetts enacted harsher penalties for a refusal under Melanie’s Law in 2005. Drivers normally face an automatic license suspension of 180 days — or longer for a subsequent offense. That would ordinarily make it difficult for police to keep working — and potentially discourage them from refusing the test — because most officers need to drive for their job. But the Globe found at least 10 cases where police departments kept officers on the payroll when they lost their driving licenses for refusing the test, giving them paid leave or duties around the station instead. That includes three state troopers who were placed on restricted duty, including Simpkins, while their licenses were suspended. State police said the troopers were later disciplined for violating the department’s code of conduct but declined to reveal details of the punishment, which could have included a reprimand or brief suspension. Alben, who oversees the state police, said he didn’t think it would be fair to fire officers or put them on unpaid leave when they lost their driver’s license for refusing to take a breath test. He said police have a right to refuse the test just like any other driver. “You can’t expect that John Q. Private Citizen is going to give up his or her constitutional rights just because they happen to be a police officer,” Alben said. He also noted that law enforcement agencies, unlike many employers, generally hold workers accountable for arrests outside of work. Some officers are never arrested or even asked to take a breath test when they are accused of drinking and driving. 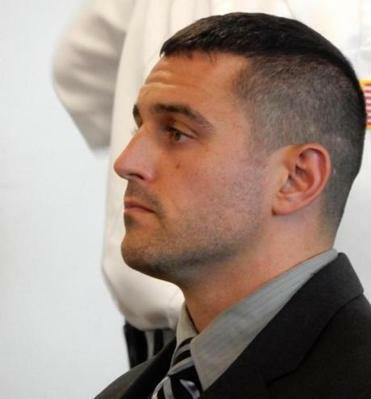 Several witnesses reported that Andover police officer Evan Robitaille seemed drunk after he allegedly crashed into a car on I-495 in Lowell last year and fled to a nearby gas station in his hobbled SUV. But instead of giving him sobriety tests, Lowell police dropped Robitaille off at a McDonald’s and arranged for an off-duty Andover officer to give Robitaille a ride home, according to court documents. “It’s the ultimate professional courtesy,” said Bowling Green State University criminologist Phil Stinson, who conducted the national study of police arrests and suspects such incidents are frequent. Indeed, it might be so common for police to receive special treatment that the Massachusetts Civil Service Commission questioned whether it was fair to punish a Pittsfield officer in a 2008 case for failing to report a traffic stop involving a fellow officer. “Every police officer who testified before the Commission testified that the routine and customary practice when a stop is made on a fellow police officer, is to show professional courtesy and not call in the stop,” read the commission report. Robitaille eventually resigned after an investigation led to his indictment for drunken driving, leaving the scene of an accident, and other violations. As part of a plea deal, prosecutors ultimately agreed to drop the drunken driving charge — possibly because police never asked Robitaille to take sobriety tests at the scene. But Robitaille was placed on probation and ordered to put a device on his car to prevent him from drinking and driving in the future. 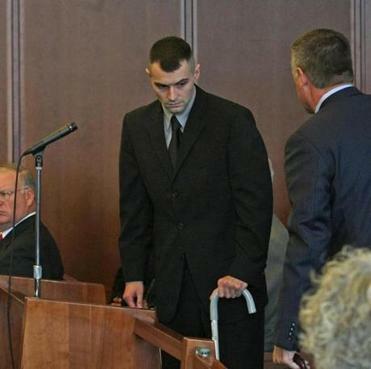 A Lowell police officer also was reprimanded for giving Robitaille a ride. Similarly, a state trooper let Orleans police officer Travis Tebbetts off the hook in 2011 after 911 reports had him speeding and driving erratically in Dennis. Tebbetts admitted to downing eight beers, according to an internal affairs report. But instead of arresting him, the state trooper asked Orleans police to give him a ride home. A Yarmouth officer later told Orleans police it was “the most dangerous display of reckless driving” he had seen in his 16 years with the department and said he had heard reports that Tebbetts was a frequent drunk driver. After an internal investigation, Tebbetts was suspended for five days, but not fired. He has since left the department and was arrested for drunken driving in Brewster in August. But even when police try to punish officers for driving drunk or covering up such actions, officers sometimes fight back. In fact, one former state trooper is suing police for failing to make reasonable accommodations for his drinking problems. State Police originally accused Adam Paicos of driving the wrong way down Memorial Drive in Cambridge in April 2012 — just weeks after he graduated from the police academy — but didn’t arrest him. After an internal investigation, the State Police fired Paicos for that and another incident related to alcohol. But Paicos sued the department in August, arguing the alcohol problems resulted from a protected handicap — post-traumatic stress disorder. Paicos, a military veteran who said he began relying on alcohol after he returned from Iraq in 2009, contends he should have been given a year off to seek treatment for the stress disorder instead of being fired. “Such accommodation would not have presented a hardship,” the suit said. Alben declined to comment on the suit. Paicos is also fighting to land a police job elsewhere. Paicos successfully appealed to the Civil Service Commission after the Town of Maynard passed him over because of his problems with the state police. The commission ordered Maynard to place Paicos at the top of its list of future hires, but Chief Mark W. Dubois said he still won’t hire Paicos. Paicos’s attorney, Daniel J. Moynihan, said Paicos could ultimately sue Maynard or other towns for refusing to hire him for alcohol problems resulting from PTSD. “I believe he’s being discriminated against,” said Moynihan, noting that Paicos has received treatment and not had any alcohol-related incidents in two years. 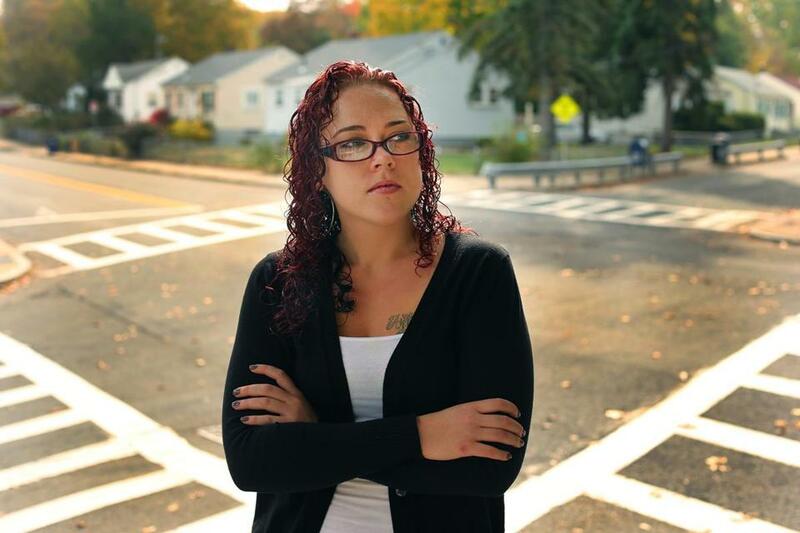 In most of the drunken driving cases that the Globe reviewed, police put up roadblocks to getting information — refusing to release some information that is typically public, taking months to respond, or charging unusually high fees for documents. The Massachusetts State Police have yet to respond to a request two months ago for reports on eight officers suspected of drunken driving except to say they will probably demand more than $1,000 for the records. Boston police withheld the names of five officers who have been arrested since 2012 for drunken driving, saying the information was “protected,” even though it has identified on its blog dozens of civilians arrested for drunken driving. One of the cases only became public after the victim expressed concern that the police department was trying to cover up the incident. In that case, Richard Jeanetti nearly killed a young waitress after speeding through a stop sign and hitting two cars in Hyde Park in May 2012. Medical tests later found Jeanetti had a blood alcohol rate of 0.27, triple the legal limit. And his car’s “black box” indicated he was driving 68 miles an hour, more than double the speed limit for the area. But police initially gave no indication in the accident report that Jeanetti was intoxicated. And Jeanetti wasn’t arrested, given a blood alcohol test, or even given a ticket for speeding or running the stop sign. 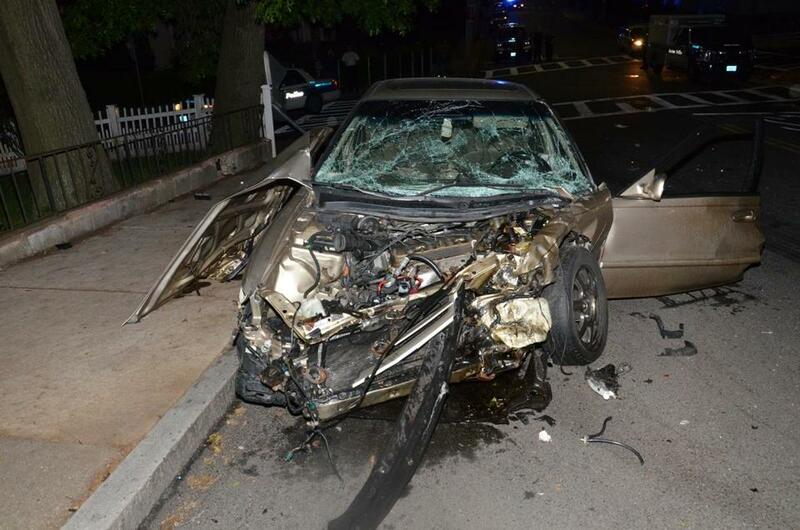 Briana O'Neill’s car, which was hit by Boston Police Officer Richard Jeanetti in Hyde Park in 2012. Boston police Lieutenant Michael McCarthy said Jeanetti wasn’t arrested or given a breath test because he was taken to the hospital with injuries of his own that day. But McCarthy said the police immediately commenced a thorough investigation that led to the charges. Records show Jeanetti’s driver’s license was suspended 12 days after the crash. Last year, Jeanetti pleaded guilty to operating under the influence and agreed to resign as part of a plea bargain. Boston police wouldn’t say how Jeanetti would have been punished had he not resigned. But three other officers who were accused of drunken driving since Jeanetti’s crash, including one involving an accident, agreed to be suspended for 30 working days (though in two of those cases, officers only served 10 days of their suspensions with the rest set aside). Meanwhile, O’Neill was injured so severely that she had to wear a neck brace for eight months and walk with crutches. Even today, O’Neill said she still suffers pain and doesn’t have full range of motion in her neck. And she bears another permanent reminder: she got a tattoo with the date of the crash and the Japanese word for strength. *Data is only for cases where information is available. Globe correspondent Jasper Craven contributed to this report. Todd Wallack, a member of the Globe Spotlight Team, can be reached at todd.wallack@globe.com. Follow him on Twitter @twallack.